• Translucent Bottle For Ease Of Checking Fluid Level. Sprays upside down on its side and in the upright position. Industrial quality sprayer. Fully adjustable spray pattern. Bottle contains recycled resin. Trigger sprayer is bpa free. Has 13 inch turf tires. Built to last with a poly hopper and an exclusive diamond design handle. 80lb capacity. . .
• Nine Pattern Spray Head. • Six Vibrant Colors: Red, Orange, Yellow, Green, Blue and Purple. • One-Touch Lever Activated Valve. • New Comfort Rubber Grip. • Large Easy To Use Shut Off Valve. 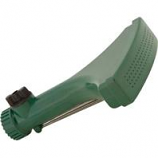 • Gentle Full Flow For Quick Watering. • One-Touch Lever Actived Valve. 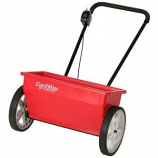 Built-in carrying handle makes cap removal easy and carrying the unit a breeze. 6 Inch Wide Mouth cap for easy filling. 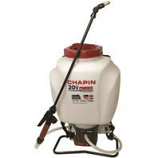 One charge will spray up to 50 gallons and up to 1.75 hours of continuous spraying. Powered by Black + Decker 20V Lithium Ion Battery (charger included). 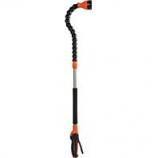 Includes three nozzles and deluxe padded straps with waist/chest strap. Sprays a powerful stream or a fine mist. . . . .
• Self Cleaning Jetclean Design Keeps 3-D Removable Filter From Clogging From Built Up Residue and Debris. 12 inch diameter 5-spoke semi-pneumatic wheels. 65lb hopper capacity. 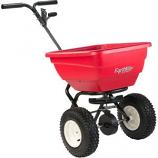 Ideal for small area spreading or seeding. Accurate 22 inch wide drop swath. . The first and only non aerosol oil trigger sprayer. Fan shaped spray pattern. Produced from 100% plastic fda compliant materials. 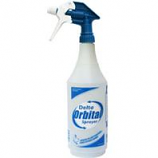 Adjustable rotating nozzle. .
Has built-in ground spike and flow control. 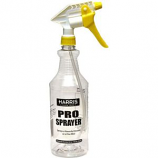 Wide spray head is perfect for most flower beds. Gentle spray pattern is less damaging to slender stems than a traditional nozzle. Rust-proof design. Made in the usa. • Made With Heavy-Duty Aluminum For Lightweight Feel.